It’s been a while since I posted. Long enough that people may have wondered if I had done a disappearing act and left Portugal, never to return. Well, strangely enough, it came pretty close. We had so much difficulty renewing our Portuguese residency that, for a time, we thought we may have to leave to return to the UK, or have another go at life in the sun over the border in Spain. Well, I’m pleased to report that all is good again now, but I can’t overstate how tricky the past few weeks have been. We knew before we moved that the bureaucracy here in Portugal was going to be difficult. Nothing, however, prepares you for just how difficult, frustrating, illogical and inconsistent it really is. As an EU citizen, you have freedom to live and work wherever you like in the EU. “Getting residency” is really only a simple question of registering in the country where you have settled – it is in fact called a “Certificado de registo de cidadao da uniao Europeia.” According to both the EU’s own website and the SEF (Portuguese immigration authority) websites, all you should need to do is take your passport to the SEF office and be prepared to sign to say that you either have a job, are studying, or have funds to support yourself. You should then be given a five year document which can be exchanged for permanent residency after that time. 1. Visited the SEF within 3 months of settling here as instructed. Were told that the camara (town hall) now handles residency. 2. Went to the camara with necessary documents, they also insisted on our rental contract and fiscal numbers (neither was a problem). However, they also required us to go to our village hall and get an “atestado” to prove we lived where we said we did (even though we had a tenancy agreement). 3. Went to the junta (village hall) to get the atestado. Told we need two local residents registered as voters in our local village to sign to vouch for us–an interesting challenge when you have just moved somewhere and don’t know anyone. 4. Awkwardly asked a local bar owner and the lady in the corner shop to vouch for us on our atestado. 5. After a wait of a few days managed to get a signed atestado from the junta. 6. Went back to the camara who now seemed like they were willing to give us a residency. Paid 15€ and were told to return in a couple of days. 7. Returned a couple of days later and were told to come back again after the weekend. 8. Returned to the camara after the weekend and joyfully collected our residency. Strangely though, it was only for one year and not the stated five years. Decide to worry about it again in a year. 9. Visited our bank to get our accounts changed to residents accounts. Big fail. It turns out the camara have put the wrong addresses on our precious new one year residency documents. 10. Go back to the camara, told to return in two days to collect our new residency papers. 11. A year on, our one year residency is near to expiry, so we need to renew it. Confident, as we now feel like very legitimate Portuguese residents, having done a full and honest tax return involving us contributing a significant sum of money to the faltering Portuguese economy, we return to the camara with our heads held high. 12. The camara insist on copies of our work contracts. This proves difficult as my wife works for a UK company and they won’t accept her contract, saying it must be translated into Portuguese. I am self-employed and don’t have one. The tax return document we proudly proffer is shuffled back towards us with a sneer. They also want a “declaracao da segranca social com os descontos efectuados,” which is proof we don’t owe any social security here. This is also tricky, as there is no mechanism for my wife to pay it here–my wife is not employed by a Portuguese company or self-employed here. I have recently become self-employed here, but I am not liable for any for the first 13 months. We return home downhearted. 13. Turn to the expat forums for advice – a lot of which amounts to people saying it is near impossible to do everything legally the way Portugal works and that we should have “stayed under the radar.” A lot of people did offer helpful suggestions and offers of assistance, for which I am very grateful. 14. We contact our accountant for help but she refers us to a document agency in Almancil. We’re not up for this as we tried one of them last year and they wanted more paperwork from us than the town hall did. Exasperated, we decide to involve a lawyer. 15. We visit the lawyer. He suggests that as our family members applied in Olhao and were given their residency in 5 minutes that we should pretend we have moved there instead. Not the kind of legal advice we expect from a lawyer! He then suggests we bypass the town hall and go to the SEF instead. 16. We go to the SEF. We show them a print out from their own website stating the residency requirements. The printout is dated May 2011. They tell us the law changed–in 2007. They send us away empty handed, and with a bit of a smirk. 17. We go back to the lawyer. He says we should come back in a few days and that he will come with us back to the town hall to try again. 18. We go to the lawyers office. He has passed our case onto a new trainee. She knows none of the details. We spend an hour taking her through what we have done so far. We decide to first visit the social security office to see if they can give us the document the camara want. We arrange to meet her at the social security office later that week. 19. Arrive at the the social security office. Trainee lawyer is 30 minutes late. Needless to say social security office cannot provide the document. They do at least confirm that we are correct that there is no mechanism in place for my wife to pay social security in Portugal and that she should continue to pay National Insurance in the UK under the EU reciprocal agreement. 20. We sign a form so the lawyer can go back to the camara and discuss the case on our behalf. The lawyer contacts us to say that they have dropped the requirement for the social security declaration and instead want three months of bank statements and a translated work contract. This sounds a bit better. Unfortunately they also say we can’t renew it until the day after our old 1 year document expires. This means we are in a position where we have to wait, and not know if our staying in the country is authorised until we are already “technically” illegal. 21. We go back to the camara on the appointed day. The lady there this time is not remotely interested in our newly translated (at a cost) work contract. They do, however, have a good look at our bank statements. They then request photographs and proof of our private medical insurance. Given that this is the first mention of this, it is a happy coincidence that we happen to have it, and carry the cards around with us at all times. 22. The lady in the camara goes and photocopies everything. We start to get excited. Have we done it? 23. Camara lady returns and tells us to return in a week for the answer. Yes, another week. We are now onto week 4 of sleepless nights. They stamp our form so we are legal in the country while we await the paperwork. 24. One working day before we are due to return, which happens to be my birthday, my wife secretly arranges for the lawyer to go back and ask about our documents. We now, finally, have residency for another four years, to add to the one year we were originally granted. So there you have it. The 24 step process required for an EU citizen to be permitted to live in the EU. We are legal, legit taxpayers, and once again we can go in the pool or to the beach without worrying that it will be the last time we have the chance. Normal posts about beaches, sardines and wine can now resume. Portugese economy does seem to be based around employing people to shuffle paper for as long as possible. What a tale of woe. I can assure you that I will be heeding the advice you were given early in the process – keep under the radar. I work in the UK and Germany, am self-employed, have a UK address and see no need to burden myself with this bureaucratic nightmare. All countries are like this for new residents!!! UK too! In Belgium the police personally came to my apartment and opened the closets to see that I actually lived there! But it can be done! Which you just proved! Well done! And the manufacturers of staplers must do well ! So glad everything is sorted out now. Enjoy the summer. We have just returned back to England after ten days in the Tavria sun . . . somehow sitting in an office in central London on a sunny day just doesnt cut it. @Stephen – I´m not sure it was intended as a “heads-up” to stay under the radar, which isn’t a strategy I’m in favour of, but that’s not to say plenty of people don’t do exactly that. @VikingGirl – not sure to be reassured or depressed that it is the same the world over! Getting leave to stay in the UK is much easier, but it kind of goes along the same lines as staying below the radar. I.e. it’s not advisable for the honourable. Simply wait until you are 8 months pregnant, then come to the UK and get a job as an Avon Lady after your kids are born. (Citing recent stories in the press, which obviously must be true;-).) This doesn’t even need to be from the EU. Can be from anywhere on our little blue planet. Governments the world over spend half their time wondering why people get in illegally and take the mickey. And the other half making it harder for legit people to do things the legit way. Pattern in there perhaps? Well, well that was very intresting and entertaining for a Portugise-to-be EU citizen! I think I prefer for some time at least to go back and forth between my other EU-country. Because that’s the other side of the Portugise burocracy – that they do not register how long you stay and the “mother country” does only trace you by your creditcards etc! So being relatively poor has its advantages! Thanks again! So, i haven’t commented on anything in few months but, i have been keeping up to date on the site. Our family is 7 weeks away from making our move to Portugal. Unfortunately we are moving back because both my parents got sick and need our help. Although they never asked for us to move back, as a son i know that it’s the right thing to do, and my family supports me. We are all still very excited except the wife which is to busy packing. Although we are moving to Praia da Barra, Aveiro e will be visiting Algarve often since we are lucky enough to have rental properties there. Just cant wait to put these 7 weeks behind us, stress is at an all time high. Hi to the last commenters and thank you for supporting the blog. Goog luck M&P for your future move and try to enjoy some of the hectic excitement! Thanks for posting your experience. As we are sitting waiting for our residencias one year after applying – having given up and got lawyers involved and STILL no resolution I can totally empathise. And to make our situation even more frustrating we had moved from 5 years on Madeira – we thought it would be a simple switch over! To make things even more complicated we’ve now moved house locally – but a change of local council so now we have to start all over again…. There seems to be completely different processes in each council around Portugal. 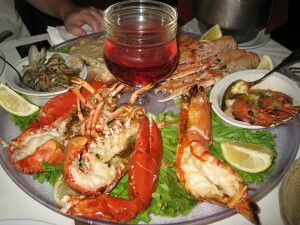 Our experience in Madeira was quite straight-forward compared to Cascais. Hi Louise, Sorry to hear you are still going through it. I confess to a sense of dread when it comes to renew ours, even though it is still 3.5 years away! Hi Millie and welcome to the blog. There are various ways of starting a business – all rather complicated I expect, and I would be reluctant to advise on things I don’t know about (I am simply registered as a self-employed sole trader). Forums like expats portugal would be a good source of info. I just read this back to myself, it still has the ability to raise my blood pressure. Hello everybody. I read all this and feel I need to ask if the situation is the same in 2013? I am Bulgarian ( hence EU citizen) and with a Russian wife; we are planning to move to Cascais in Jan 2014 and leave off our savings for some time, while looking at options of starting a business in the tourist industry. Does anybody have recent experience of applying for EU-citizen residence card, and one for the non-EU member of his family, in Cascais? I came to Portugual three years ago,and I must say I have never come across so much burocracy as there is in this country.From a personal point of view I would never advice any indervidual to make this country there perminant residence. The bureaucracy in Portugal can certainly be overwhelming at times, as the residency process showed us. Now with our first child on the way we have the fun of a whole load more paperwork ahead of us! We feel that it is our moral and civic duty to live our lives according to the laws of our host country, so I’m afraid I can’t give you any advice about how to live ‘under the radar’ in Portugal. This is a wonderful country and respecting its laws and traditions is a part of living here, even if it does involve a lot of red tape at times – that is just part and parcel of life in Portugal. I have lived in portugal for four years. you can basically consider it as NOT being part of the EU at all. as many of the EU laws are not properly applied, or just simply omitted to taste. for example, EU LAW states all you need to get your residency certificate is a health insurance policy and your EU passport. as the post describes, and in my own experience it is far from the truth. I have imported a car (2 years + €2k in taxes for a €4k car), had several residency addresses and applied for portuguese driving license (2 years and still waiting!). Living “under the radar”, is sadly a very attractive option for a lot of foreigners and also portuguese. the further you are in the system, basically the more tax you pay and the more time you spend chasing around the next document. We have certainly shared some of your frustrations, as I imagine readers will be well aware! regarding the driving license experience. it started when all my stuff was stolen from my parked car at the beach. this included my license. so 3 hours at the local police station i had some documents about the incident. then went to IMTT for the new license, they gave me a piece of paper, like you have. it went out of date, but its 30 euros for a new one, so i left it. a year later i inquired how my license application was doing, oops, they forgot to tell me, nothing is happening as i didnt hand in my old license. i explained this the on application, it was stolen, complete with all the GNR documents. so, i re-apply and still waiting 2 years now…don’t get me started on legalising my car. but yes, the natural beauty makes up for it a bit, but what worries me is nothing is changing here. Goodness, what a nightmare with your licence… and I know from family members who have been through the experience how hard the car matriculation process can be. It’s certainly not always easy to do everything properly in Portugal, but worth it in the end! I find this article absolutely astonishing.. !!!! I too moved to Portugal to live 2 years, my husband and I and my 10 year olad son spoke no Portuguese.. but that said learning slowly… we have had no such problems like this… Literally my husband and I and two other residing english.. went straight to our camara municipal in Gois… took an hour for all of us to fill out the paperwork… came away proudly with our five year certifocado de registo no hassle no problems all done 1 hour.. !!! 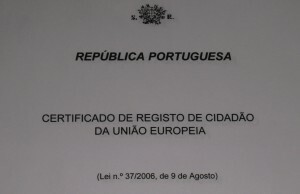 no correct me if I am wrong.. yes you can apply after five years with this document to make it more permanent but I belive firstly you have to be fairly fluent in portuguese know a little of portugals history.. take a small exam.. and then you can become a citizen.. otherwise you just keep renewing the certificate you already have every five years.. this is how it has been explained to us by portuguese authorities… Many websites I have come across are filled with horrendous stories of inexplicable problems people have had doing the most basic of tasks.. and these websites make it seem impossible to live here.. total rubbish… I have even had help from my bank and the finacias office to set up a proper business here.. even though my husband and i are self sufficient.. I am younger and wish to work.. self employed I add.. either you are complicating things or you ask the wrong questions.. I dont get it.. My son is now fluent in the language after a full year at school.. our local council has provided free portuguese lessons to those determined to learn… Portugal is a fantastic place,,, health care, people.. the help available.,.. beats the UK any day.. just dont…. overcomplicate simple requests.. the minimum information is key… !!! Once you’ve been in Portugal a bit longer, you will probably begin to learn that people can have very different experiences in different towns and with different government officials. It’s well known that immigrants in Central Portugal have an easier time with things like residencia and registering for health care. There are far fewer of them for a start. 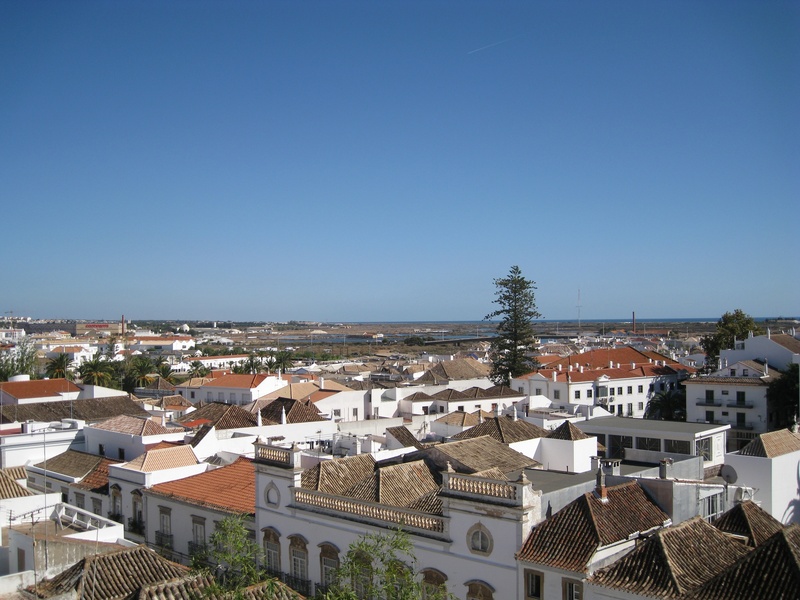 Also, the Algarve tends to attract many people who don’t wish to play by the rules, which can make it harder for those who do. You will find plenty of people who gained their EU registration as easily as you did, including five of our family members in the next town along that doesn’t have such a large expat population. We knew exactly what we were asking for, we asked for it in Portuguese, and this article tells it exactly as it happened. Why you assume we are talking “total rubbish,” that we “overcomplicate simple requests” and that we “have inexplicable problems doing the most basic of tasks,” I’m not sure, but it’s rather presumptuous and more than a little patronising. You didn’t do it better than us, you got lucky. I have no doubt that if we’d applied for our residency in the friendly middle of nowhere, we would have been in and out in an hour too. In fact we would have been in and out in far less time as we wouldn’t have needed them to explain how to convert to full residency after five years, having already researched it in detail at that point. Obrigado! Moving to Terceira-My husband’s homeland. He has Us Residency living here since 1976. Children already have dual citizenship. So Im the only ex-pat, really. Hope my process on the little island goes easier, but gathering all the internet moral support I can.